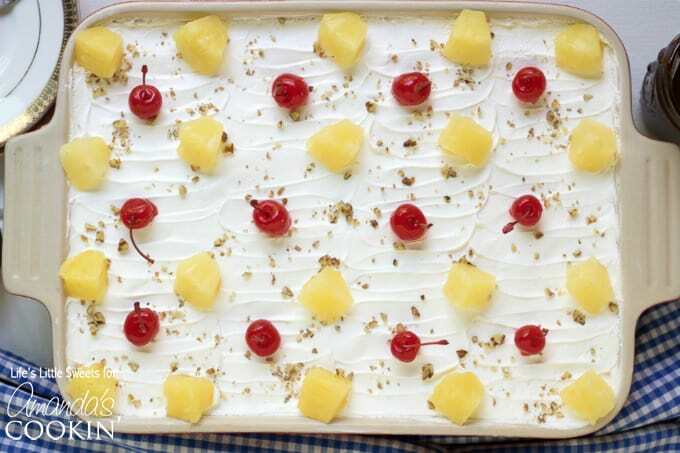 Banana Split Dessert: a heavenly dessert recipe perfect for BBQ's! 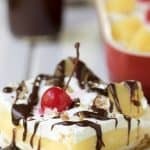 Hello Everyone, I am here with another awesome Lush recipe, this time, it’s Banana Split Dessert Lush. Did you see my recent Banana Cream Lush with Bananas Foster Sauce? 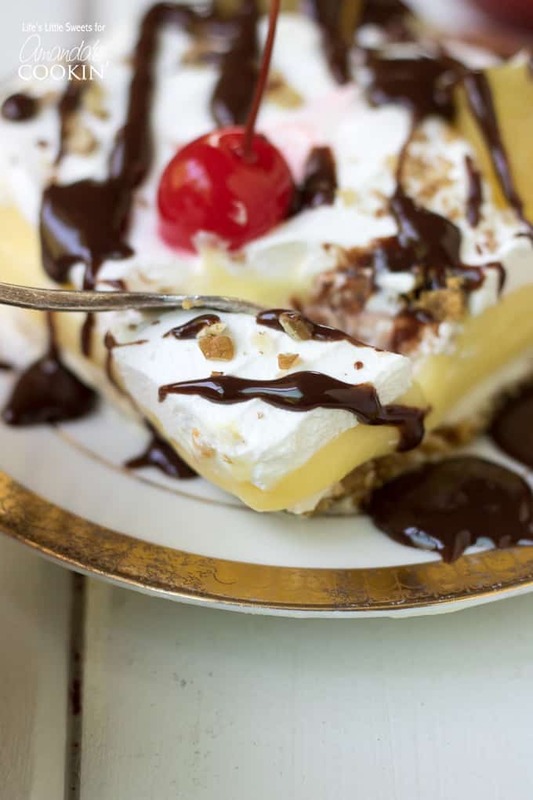 This Banana Split Dessert is a different version of that. 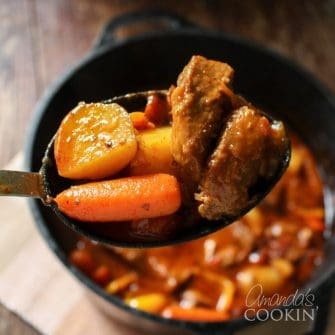 Have you seen my Coconut Cream, Lemon, and Mocha Lush recipes? 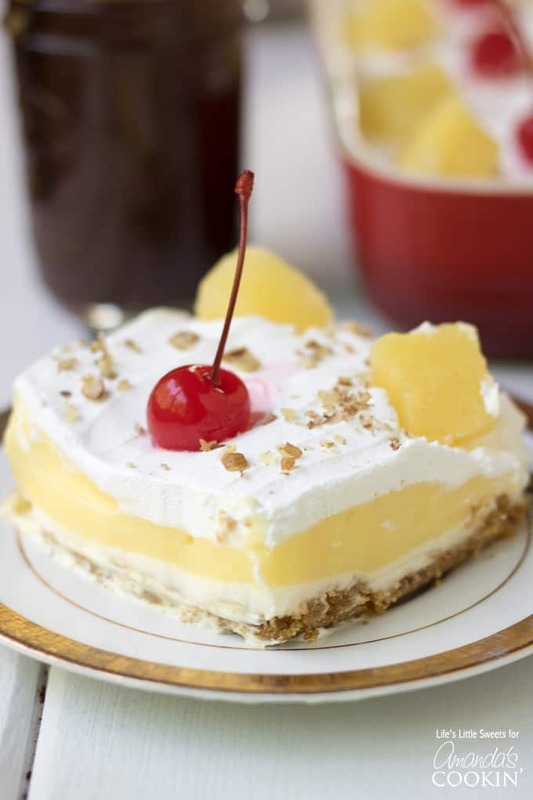 They are also great options for summer dessert ideas and just like this Banana Cream Lush, they feed a crowd with 12 big slices per recipe. 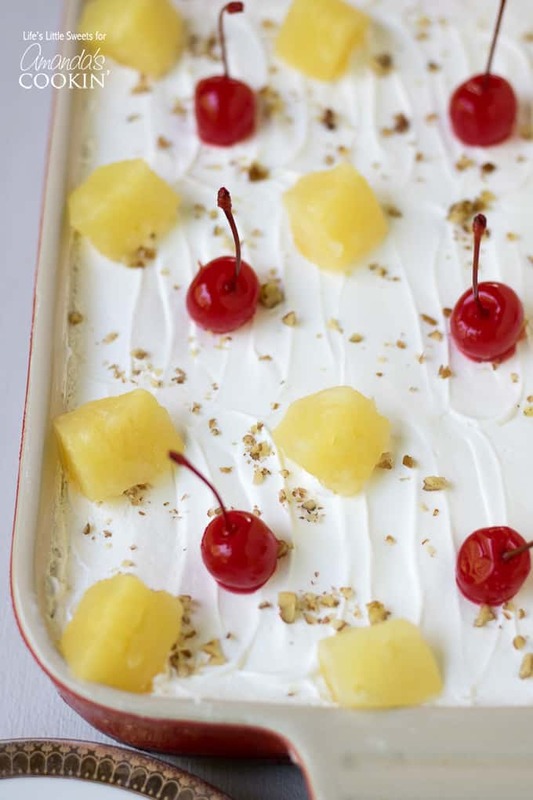 This is a perfect one-pan dessert recipe to bring along to work parties, BBQ’s, picnics, family outings and more! 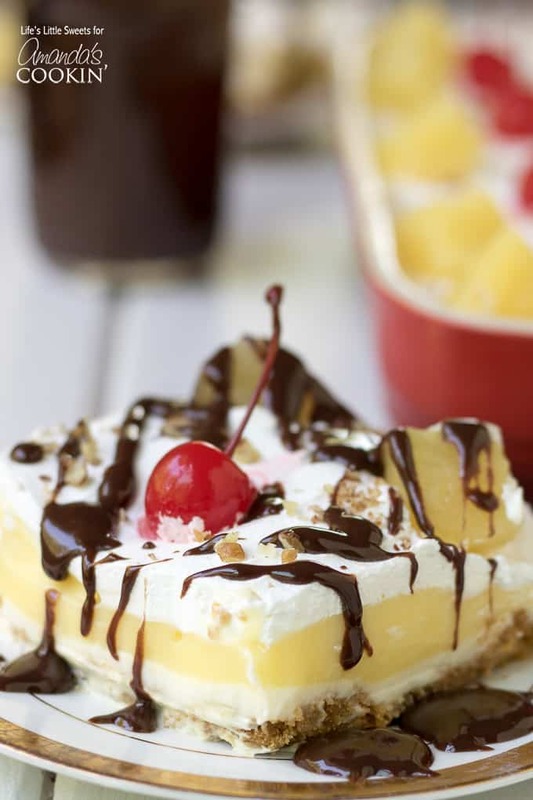 You are going to love this Banana Split Dessert recipe! 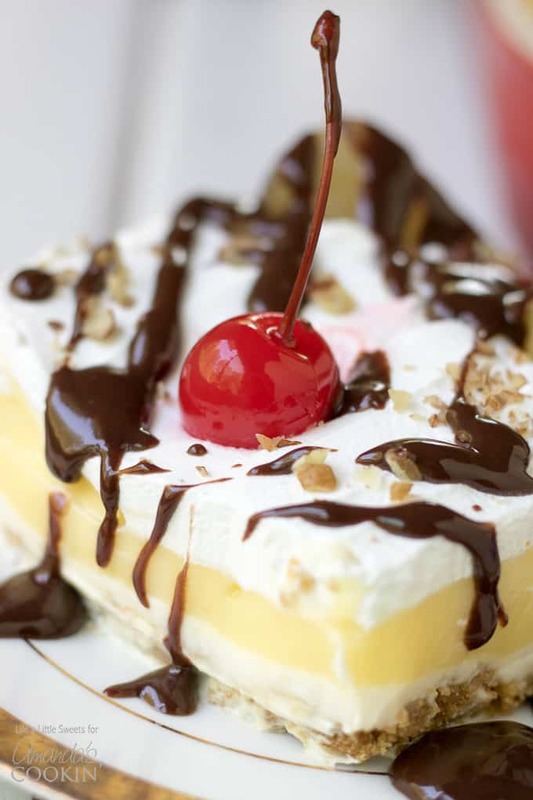 This banana split masterpiece will be the star of any BBQ or gathering you bring it to, similar to this heavenly Chocolate Lasagna recipe! I’m afraid I don’t have it just yet but am working on that functionality!